MACUCC: Worcester Shows its Pride! MACUCC: Worcester Shows its Pride! September 7 marked the biggest Worcester Pride celebration in recent memory. Over 40 different marching groups participated including a few churches, a new addition for the Worcester parade. Three Massachusetts Conference UCC churches marched: the Congregational Church of Topsfield and Lakeview Congregational of Worcester joined Trinity Evangelical Lutheran, All Saints and The Woo Church in the faith-based unit. Hadwen Park Congregational UCC of Worcester chose to walk in the social justice unit of the parade alongside its ministry, the LGBT Asylum Task Force, which offers assistance to LGBT persons fleeing their countries because of persecution due to their sexual orientation. Early reports say more than 6,000 people attended this year’s Pride celebration. The main event was moved from Institute Park, where it was held for many years, to the much more visible Worcester Common. 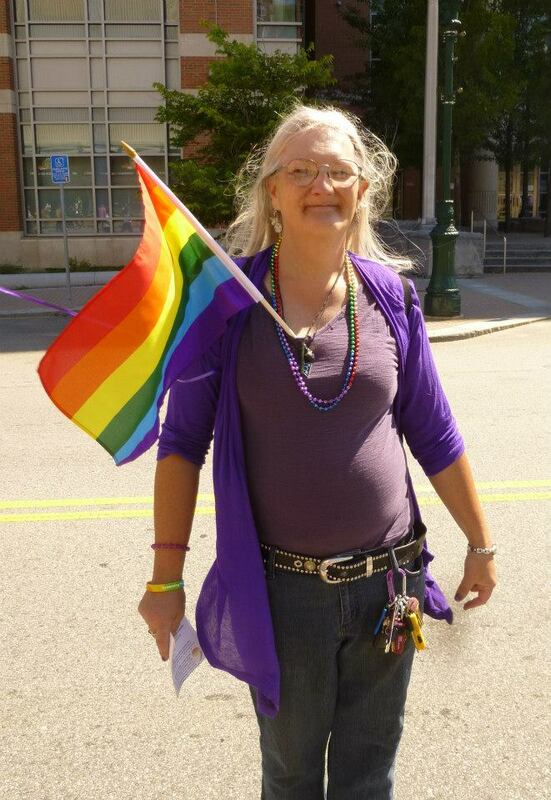 According to Parade Director Laura Farnsworth - she is also the Program Director for Safe Homes, Greater Worcester PFLAG and The Bridge of Central MA – the goal of moving the celebration to the Common was to highlight inclusiveness and illustrate our diversity. “Our celebration used to be held on a side street in Worcester where we frankly felt isolated and marginalized. By moving it to the commons and bringing back the parade, we feel like a more inclusive part of the community and we were able to demonstrate the beautiful diversity of our community as well,” she said. The change created an event more visible and welcoming to the community. Droves of people of all ages, cultures and sexual orientations came out to bask in the beautiful weather, have some lunch, and enjoy the variety of free family-friendly entertainment including country star Glenn Stewart and comedian Cindy Foster. 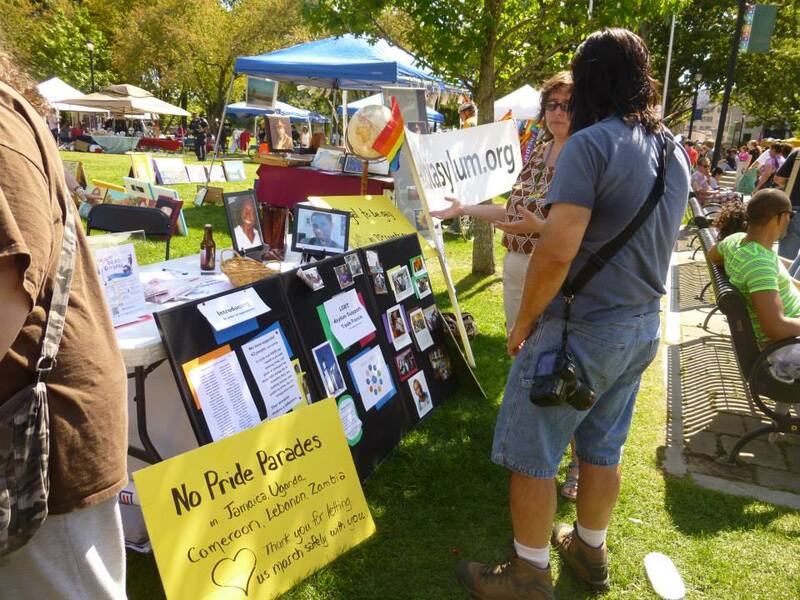 Market tables dotting the Common offered LGBT and more general information from church, community, social justice and health-related groups, not to mention a variety of rainbow-colored items for sale. Little ones ran through the giant inflatables set up in a special kids’ section of the Common. “Our community comes from all walks of life. We are your teachers and doctors, your lawyers and educators, we are your business owners and politicians, we are your families and friends", she said. Worcester Pride meetings are held the first and third Tuesdays of each month at The Bridge of Central Massachusetts, 4 Mann Street, Worcester. All are invited to come to meetings and get involved in planning next year's big event!